Overwatch fans have yet another piece of new content being added to the game this week. The latest 2.02 update has just gone live across all platforms, and it finally introduces the long-awaited Oasis map. The Oasis map has been showcased and playable in the Public Test Realm (PTR) for a number of weeks, although, of course, console Overwatch players haven’t had a chance to test it out. That changes today in the form of an update that clocks in at around 600mb. “Researchers and academics from around the region came together to found a city dedicated to scientific progress without restraints—a monument to human ingenuity and invention. The city and its inhabitants are governed by the Ministries, a collection of brilliant minds who possess many secrets that have attracted the interest of powerful organizations from around the world,” Blizzard says of the map. 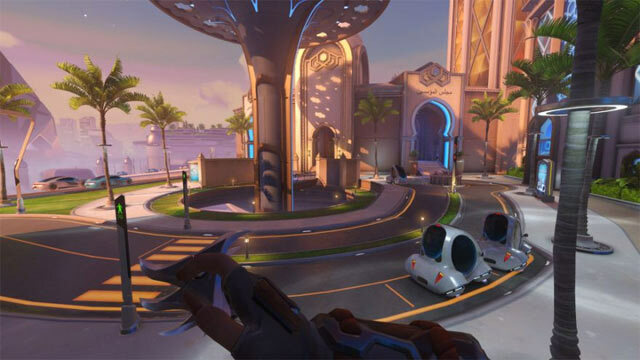 This new Control map is set in a city in the Arabian Desert, said to be one of the most advanced cities in the world according to Overwatch lore. It sports a very interesting design: you’ll have to watch out for speeding cars, as it’s an insta-kill if you get hit by one. What are your thoughts on the new Oasis map? Sound off in the comments below!